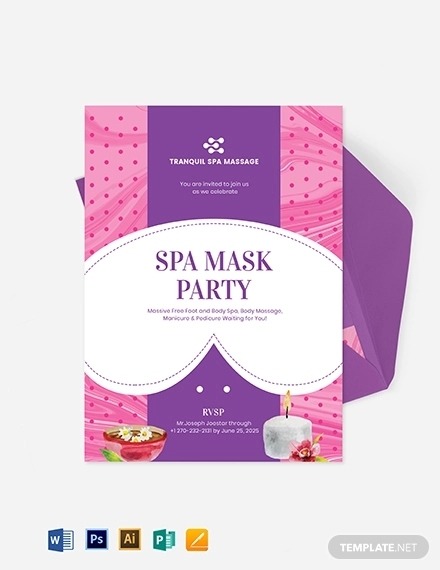 The spa parties are getting trendy among the young generation, which has led to increasing demand for the attractive spa party invitation. These party invitation designs feature party theme elements along with the details of the spa services available for the celebration. You may also see Super Bowl Invitations. 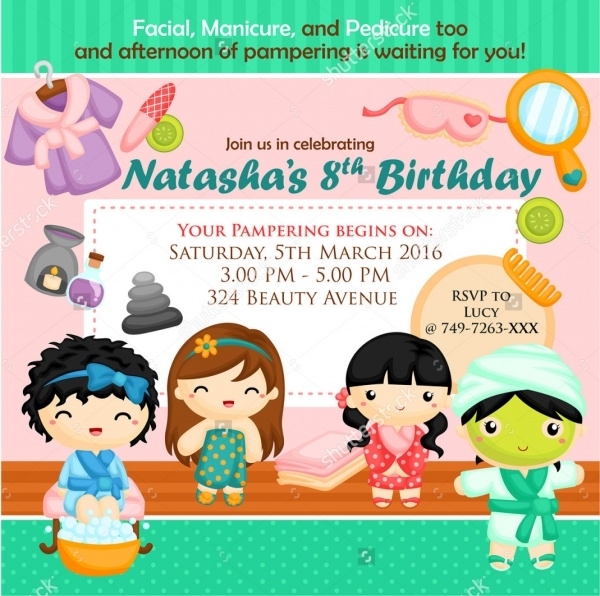 Now, you can design outstanding spa birthday party invitations for kids without much effort using these readily available design templates. 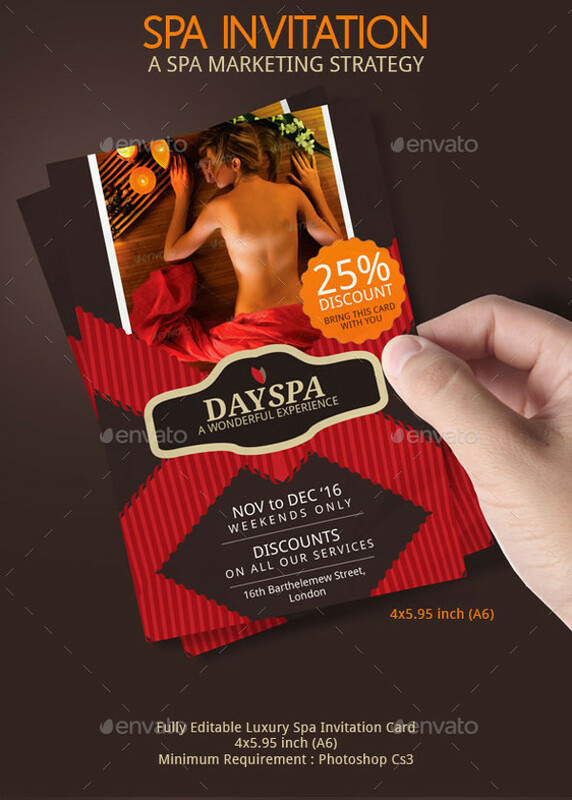 Check this assortment of best spa party invitation designs that will definitely meet up your designing needs! You may also see Anniversary Invitations. 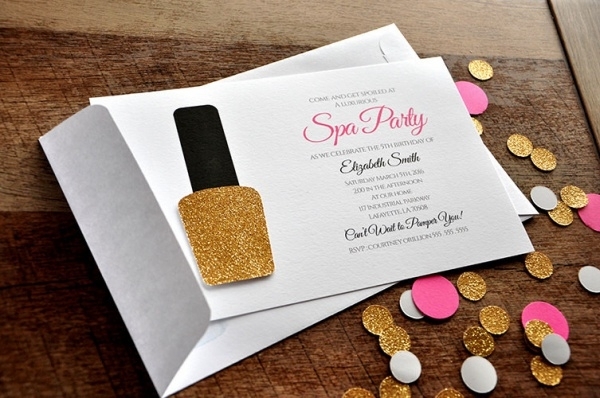 This is an elegantly designed spa party invitation, which comes with a fully editable feature. It contains space for party date, venue, and other details. 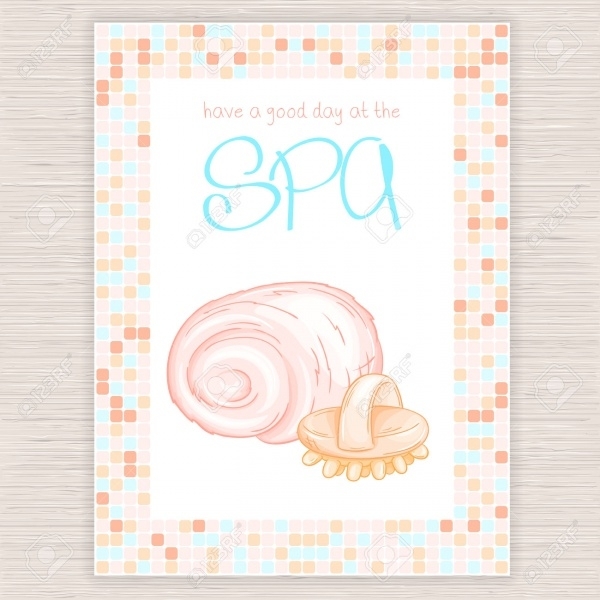 Click on the below quoted below to download this pleasing spa party invitation. You may also check Holiday Party Invitations. 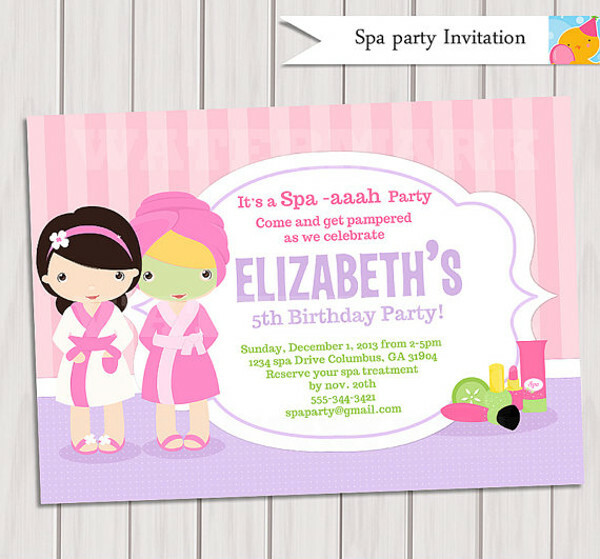 Here’s a remarkable spa party invitation free downloads that come with an adorable layout. It has a resolution of 570 x 570 px. It displays stylish color combination. Make your birthday party look relaxing and rejuvenating with the help of this simple spa party invitation template. It has a subtle and sober outlook that suits the spa theme perfectly. 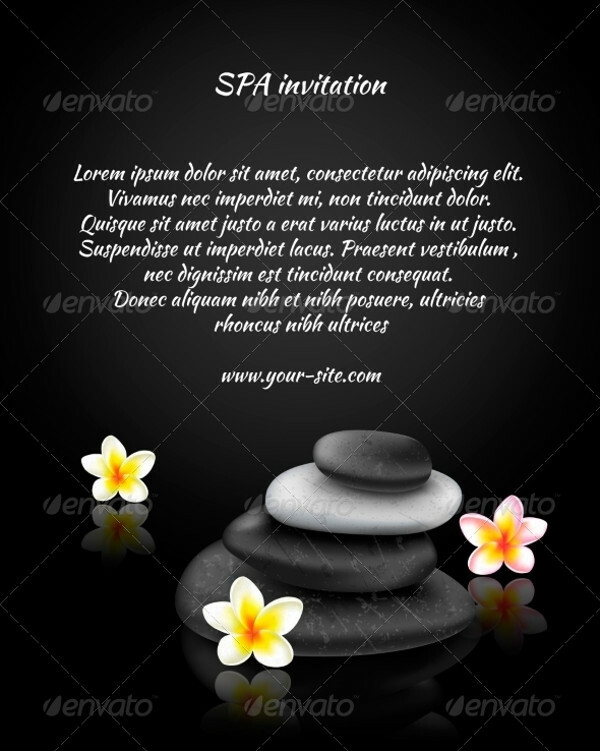 This is an amazing printable spa party invitation that features stones and tropical flower vectors. It showcases wonderful typography and intriguing color mixture. 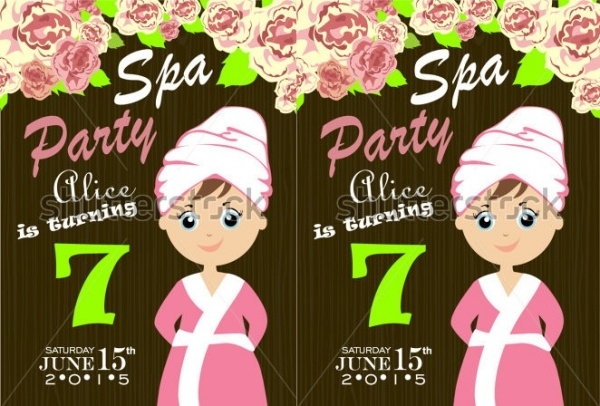 Use the below link to download these spa party invitations templates instantly! 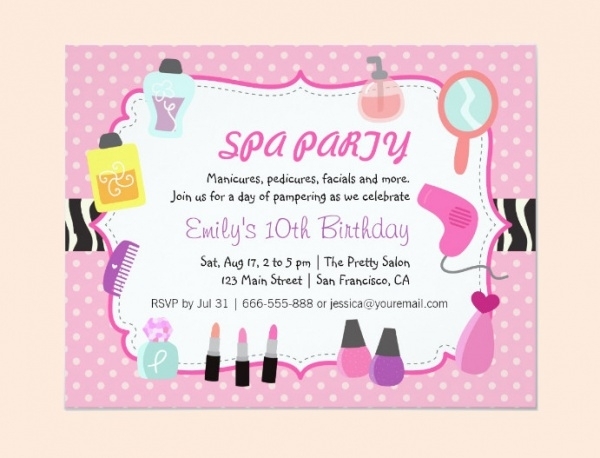 This girls spa party invitation will allure your guest to attend the most relaxing and refreshing birthday party. 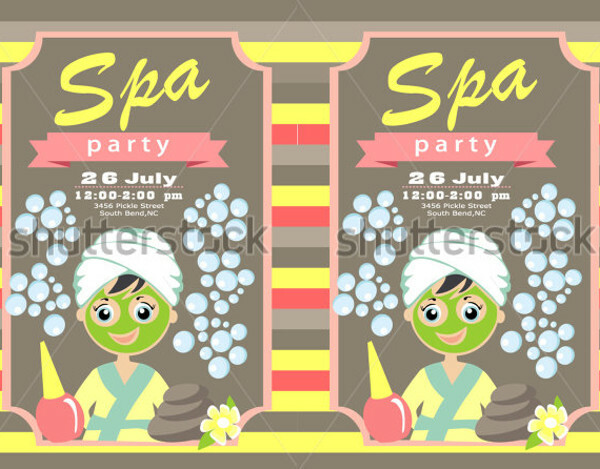 It showcases the cartoon woman with a green face mask and other spa related design items. 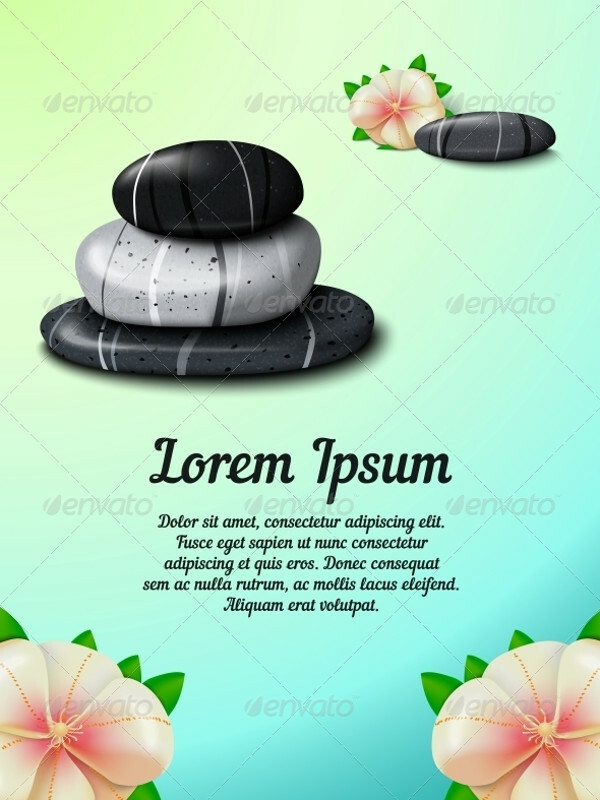 This is an eye-catchy spa party invitation card, which beautifully showcase exotic tropical flower and stones vector illustration. It is an editable design, so you can modify its outlook as per your need. 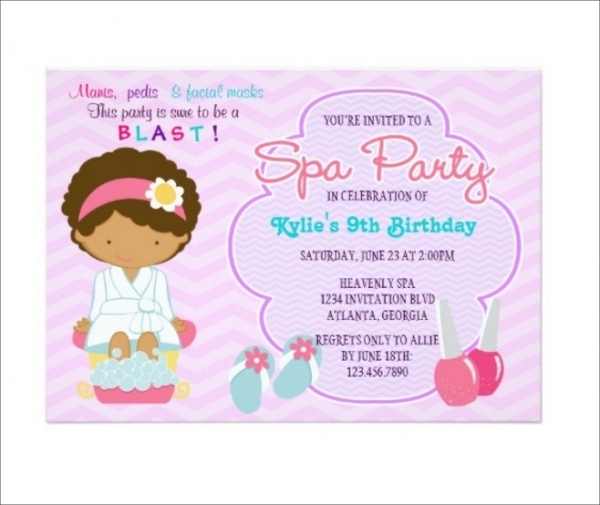 This is a graceful spa birthday party invitations for kids that consist of a baby pink background and spa items imprinted on it. 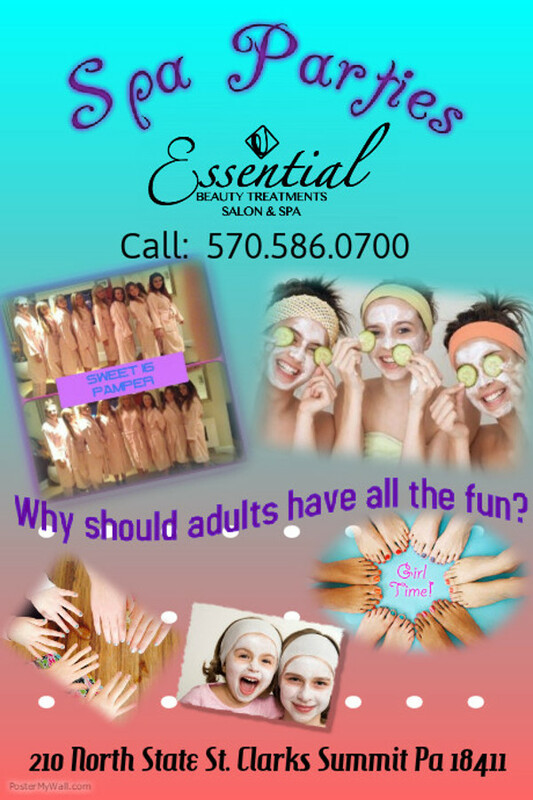 Click on the below link to download this unique spa party invitation in high-resolution and appropriate size. Announce special or discount offers on spa services using this eye-catchy voucher spa party invitation. This is a Photoshop template, which is fully editable and contains 300 dpi resolution. Download this PSD template using the below link! 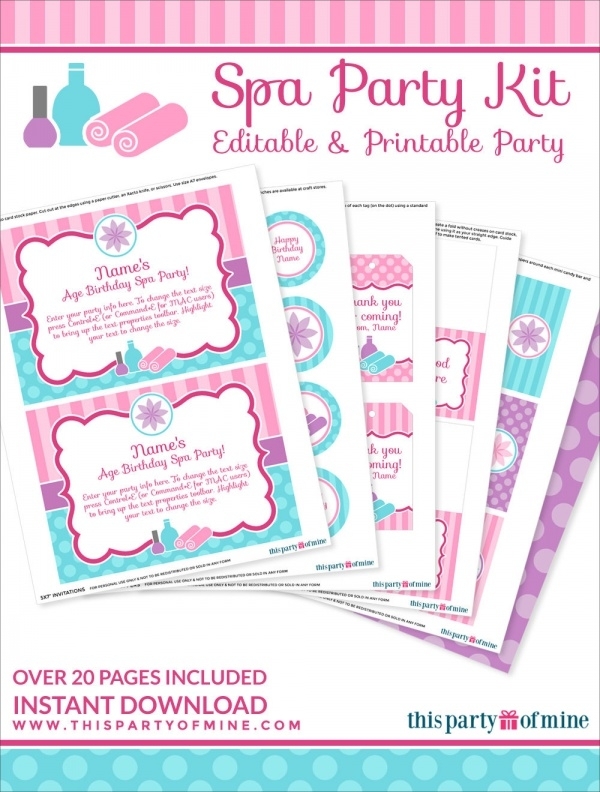 This is a perfect selection for the spa birthday party invitations for kids that come with a high-resolution display. It features cartoon kids wrapped up in spa products. 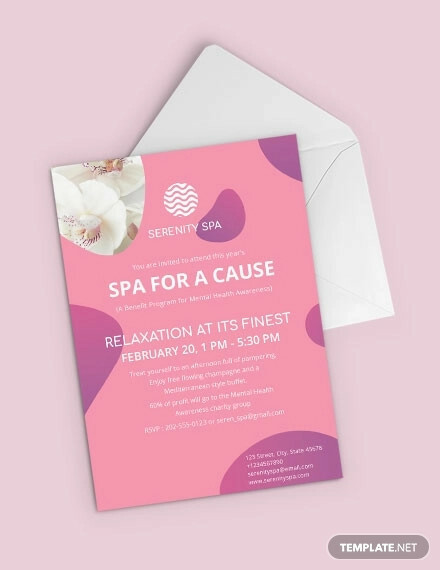 This is a bright and subtle spa party invitation template, which will give your invitation a simple and elegant outlook. Follow the below link to choose the appropriate resolution option for your use. Here’s attractive spa birthday party invitation showcasing beautiful floral patterns. It features a dark background that highlights the text and images imprinted on it. 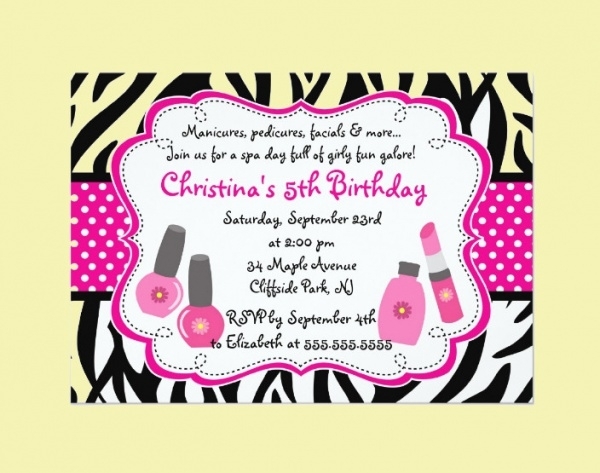 This is a cute manicure spa party invitation, which is customizable to meet up everyone’s need. It contains a full-bleed, full-color and high-quality display of both sides. 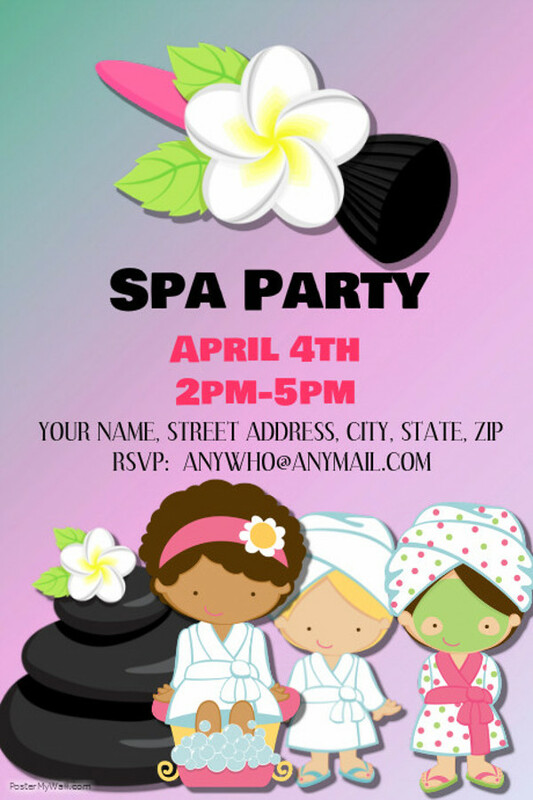 This is a highly customizable spa party invitation that showcases colorful background. It consists of sections for images and other design elements. Go through the below link to download the attractive invitation instantly! 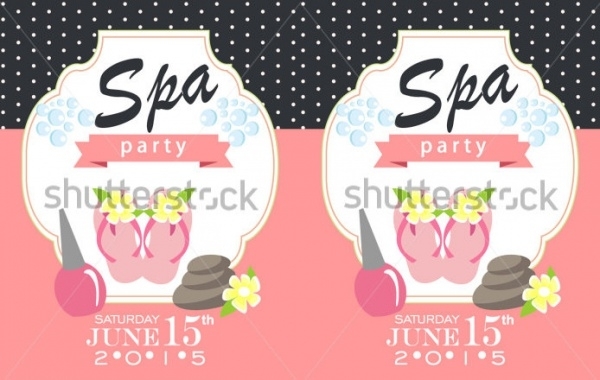 Here’s a brilliantly designed pink polka dots spa party invitation that comes with a fancy and attention grabbing outlook. It features nail paint bottles, lipstick, comb, hair dryer and other spa material. 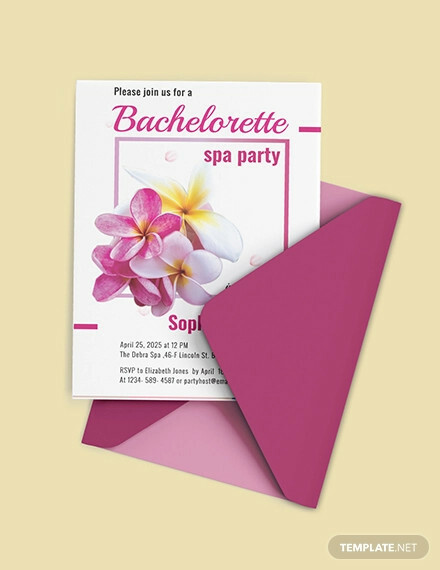 This is an amazing spa party invitation templates, which you can personalize as per your requirement. 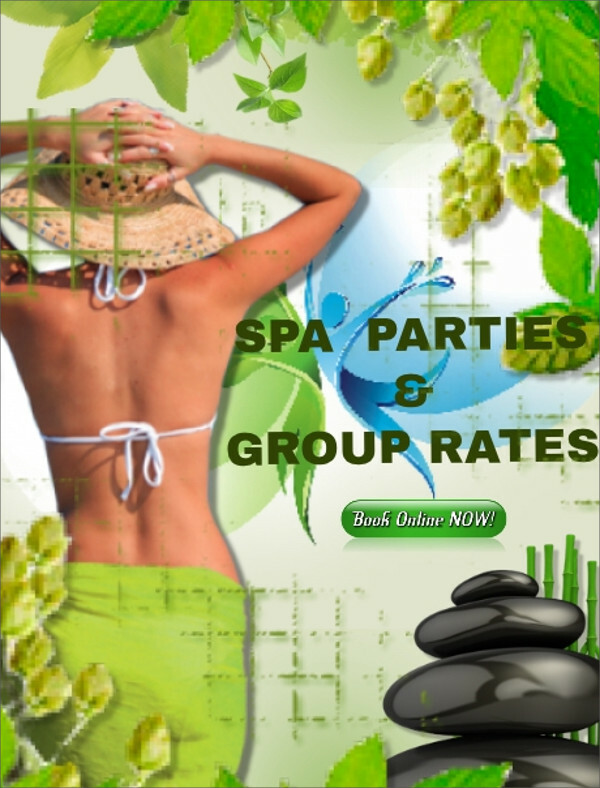 It consists of extra sections for additional information related to the spa party. 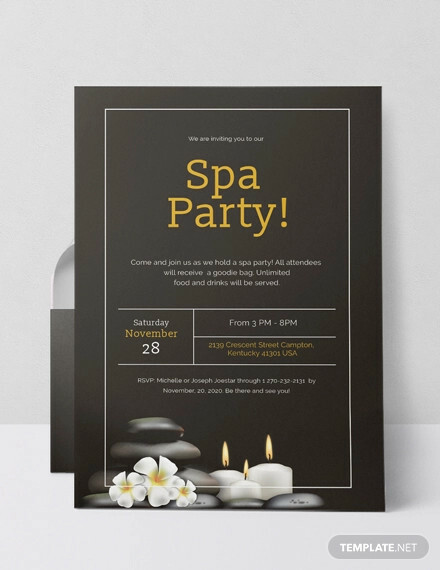 Create your own collection of best spa party invitation designs by using this elite collection that will definitely come handy for your forthcoming projects. There is a specialized assortment of beach party invitations as well, which you can use to design remarkable invitation cards that will get the attention of the guest instantly!